Read the related article for all the Green Mama secrets on dealing with this pesty nuisance. Use this on dry hair for a preventative spray or on wet hair followed–by nit combing–to help effectively treat lice. Shake together and put in a spray bottle. 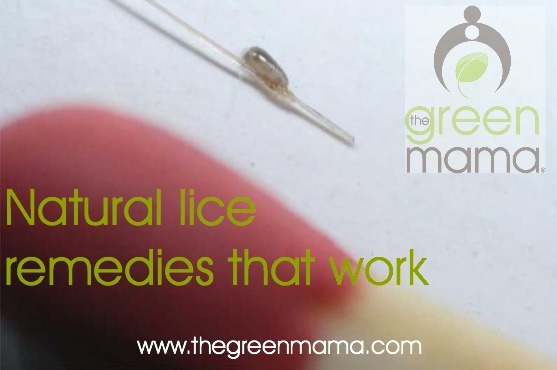 Use this to salve weekly when lice is endemic around you or every few days to treat a case of head lice. Leave for at least 20 minutes, or cover the head with a shower or swim cap, and leave it on overnight. Use in combination with nit combing to treat lice. Blend and apply to hair and scalp.